It was only just a week ago that word got out about Arnold Schwarzenegger&apos;s cartoon series The Governator. The move signaled his return to Hollywood and the project blossomed into an animated TV series and 3D film—but that&apos;s not all. With three other potential projects on deck, one of which is his long-mooted (and horribly titled) war movie With Wings As Eagles, with The Last Stand and The Tomb as his other two possibilities. The Tomb is coming together in conjunction with Summit Entertainment and Antoine Fuqua (the man behind the upcoming Tupac Shakur biopic) sitting in the director&apos;s chair. The plot involves a high-tech prison designer having to break out from one of his own maximum security stockades when he&apos;s framed for a crime he didn&apos;t commit. Schwarzenegger&apos;s buddy Bruce Willis was initially in talks for the film, which would have marked a reunion for the director and star of Tears Of The Sun, but after several weeks of meetings, The Tomb is now Arnold&apos;s for the taking. Then there&apos;s The Last Stand. Marking the Hollywood debut of Kim Jee-woon, who wowed us with I Saw the Devil (one of the 15 most disturbing South Korean films) and The Good, The Bad and The Weird, Liongate&apos;s latest springs from a Black List script by Andrew Knauer (Last Stand). The story finds a small-town sheriff and his novice crew of do-gooders chasing a reckless fugitive Mexican cartel boss in a stolen 200mph Gumpert Apollo. Liam Neeson (Unknown) considered taking the role, but the offer has been extended to the former Mr. Olympia, and early talks have begun. 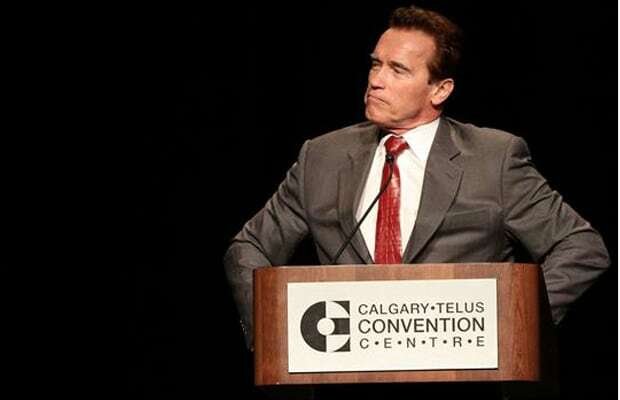 What are you more intrigued by for Schwarzenegger&apos;s next flick? Fuqua&apos;s proven action style or Jee-woon fluctuating cinematic tones?